A botanical exploration of Rhode Island featuring a colorful play-on map of the state and plants native to the Ocean State. 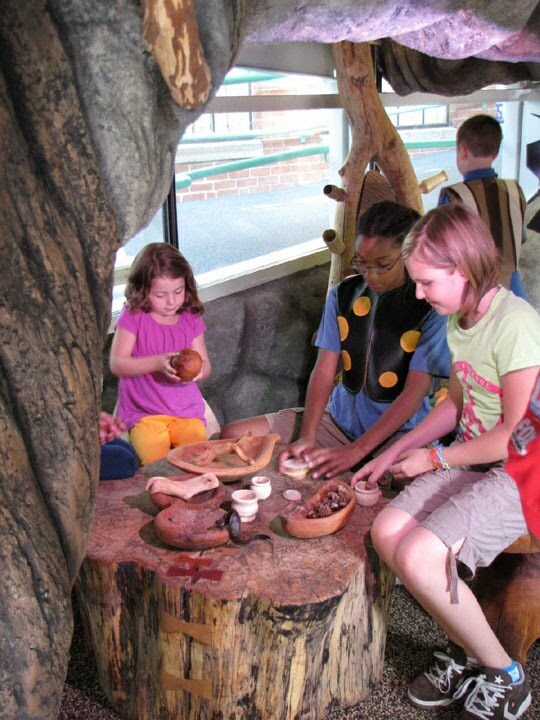 Enjoy a picnic beside a trickling fountain and learn more about the plants in your own backyard! Kids and grown-ups have active outdoor fun as they discover a host of colorful, hands-on toys that present a series of physical challenges. 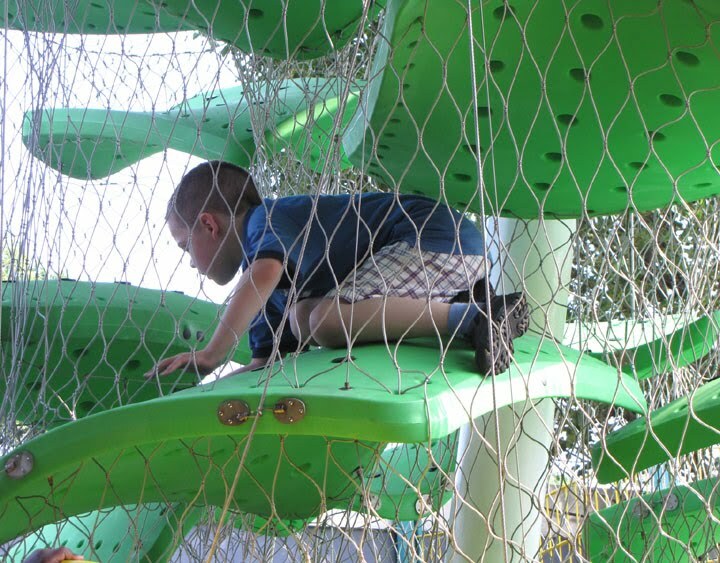 A safe, artful and challenging climbing sculpture that takes kids to new heights as they wriggle and stretch through a colorful enclosed maze of undulating platforms at various levels. An imaginative subterranean adventure through root systems, worm tunnels and critters' burrows featuring the work of several talented local artists, Underland encourages exploration, discovery and a deep appreciation of the natural world.